The 11th annual JRA Day will be held on Saturday, December 1, 2018, at the Woman’s Club of Chevy Chase, in Chevy Chase, Maryland. To view last year’s web site on the event, go to www.jraday.org/home-2017.html. 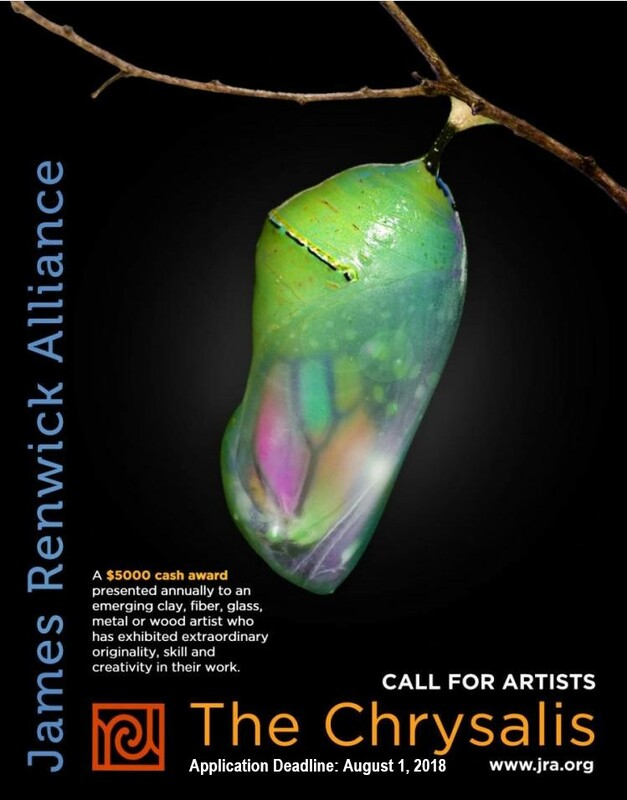 JRA Day is open to all craft artists who are members of the James Renwick Alliance. Applications will be accepted on a first-come, first-served basis. During the initial application period through June 15, 2018, preference will be given to artists who participated in last year’s show. Please read the application form and contract carefully, as they describe the terms and conditions for participation in JRA Day. 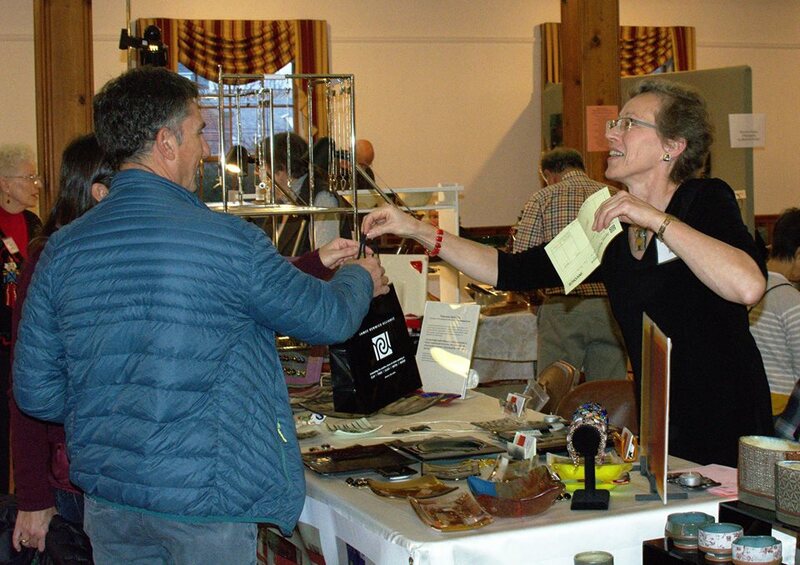 If you are not a JRA member, you may apply for the show, but participants must hold a paid membership in the organization within a month of acceptance in the event and on JRA Day. Click HERE to jump to web page for more info. For additional information on JRA membership go to www.jra.org/levels-benefits, call 301.907.3888, or email admin@jra.org. 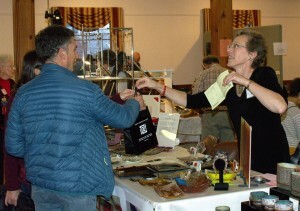 Last year’s JRA Day was a great success and the JRA offers free admission to the show. There is no booth fee for JRA Day. Instead, the JRA will receive 40 percent of all proceeds from the artist’s sales. Details are included in the application and contract. 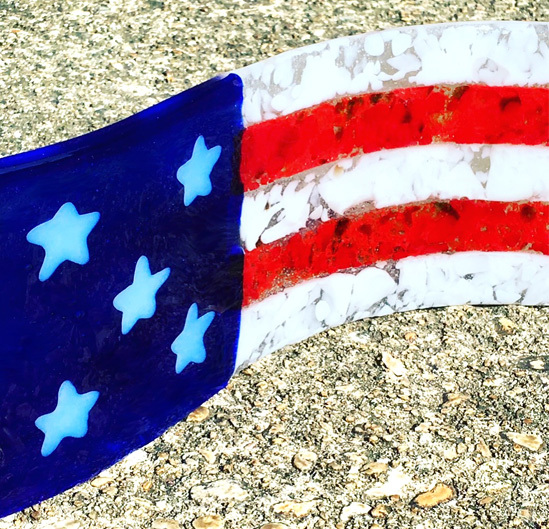 JRA Day is sponsored by the James Renwick Alliance, an independent national nonprofit organization that celebrates the achievements of America’s craft artists and fosters scholarship, education and public appreciation of craft art. 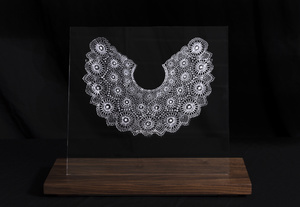 The JRA was founded in 1982 and fulfills its mission through public programs, publications, recognition of craft artists, and financial support, including contributions to the Renwick Gallery of the Smithsonian American Art Museum. For more information on the JRA, go to www.jra.org. 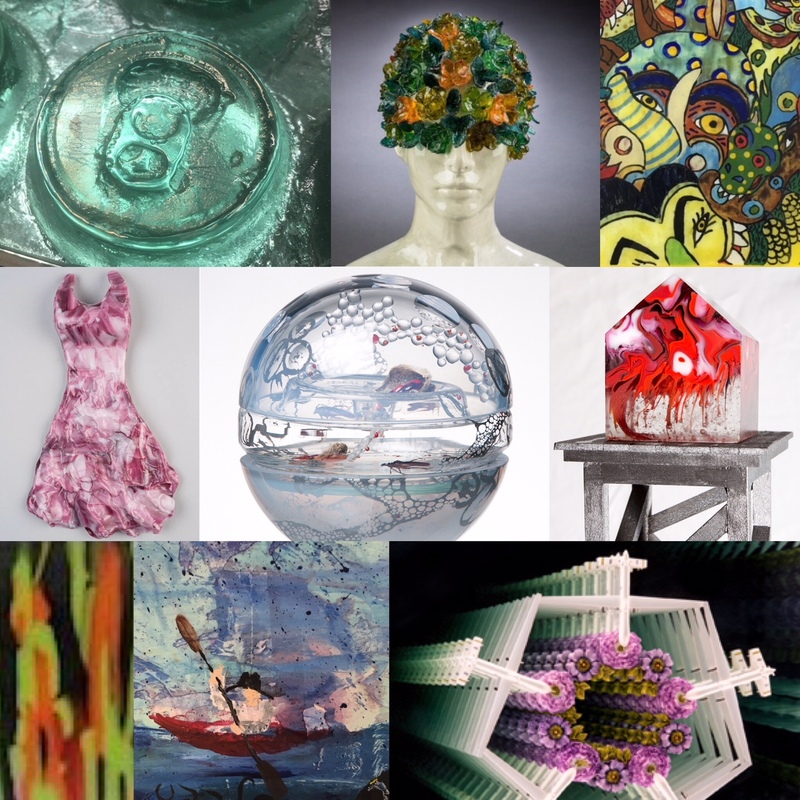 WGS Contemporary Exhibit Opens Saturday, May 12th! Works by artists WGS Contemporary will amaze and delight! 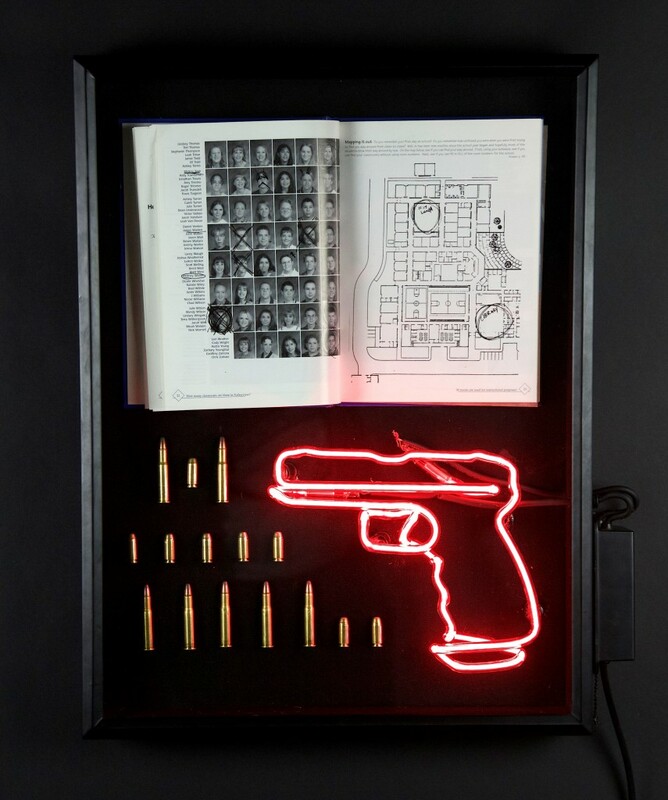 On Saturday, May 12, WGS Contemporary, along with the studios, art organizations, and galleries throughout the Gateway Arts District will open their doors to the public. The event is free and open to all. 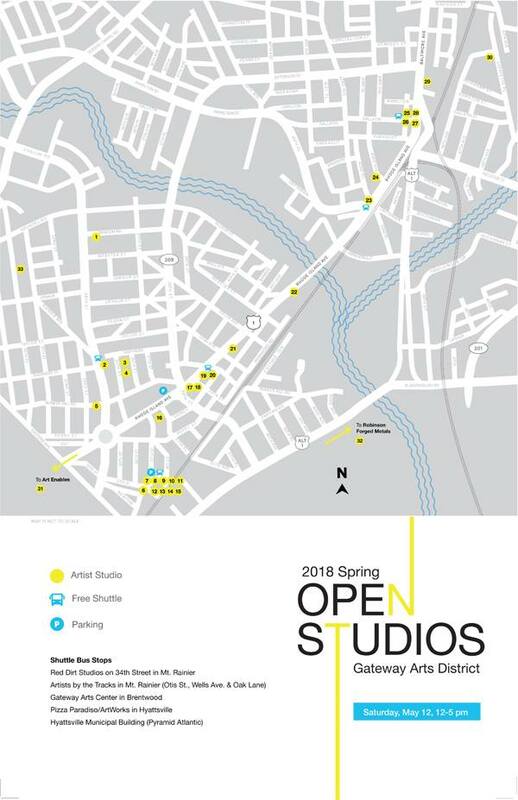 Over 100 individual artists will participate in the event, making the 2018 Spring Open Studios the region’s most prominent visual arts event. Audiences can attend art openings, artist demonstrations or purchase original artwork in an artist’s studio. This artist-led event presents a fantastic opportunity to connect with the region’s most important and economically vital centers of art production. A free shuttle bus will make stops from Artists by the Tracks in Mount Rainier to Pyramid Atlantic in Hyattsville. Between studios and gallery stops, the Gateway Arts Districts offers several new food and drink options along Route 1 including the recently opened Pizzeria Paradiso in Hyattsville, known for its outstanding pizza and wide selection of craft beers. Pizzeria Paradiso will host a beer festival on May 12 from 12-5 p.m.
More information, including a self-guided map of the open studios visit the events’ Facebook page at www.facebook.com/2018springopenstudios in advance of the tour.